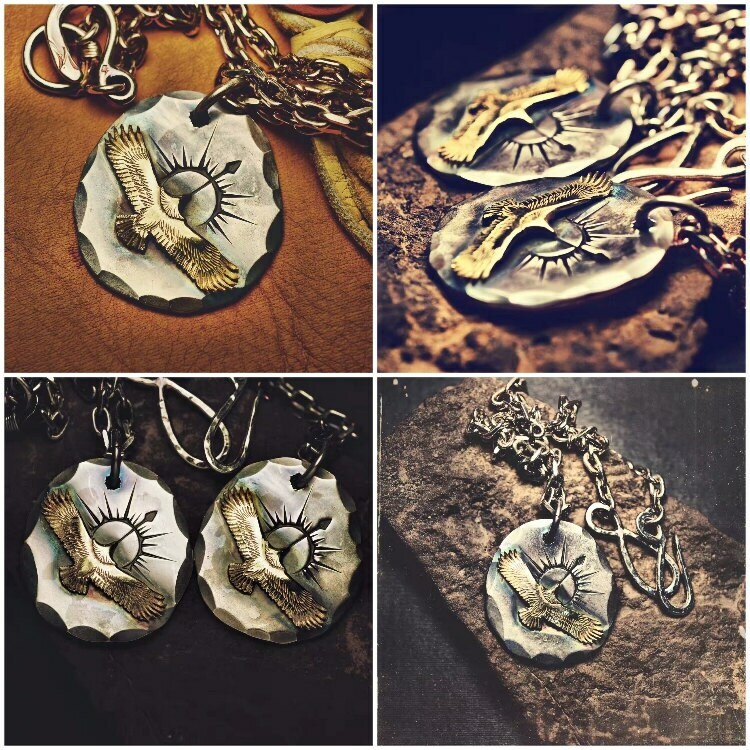 A silver eagle on the face of the uneven disc is the centerpiece of the pendant. 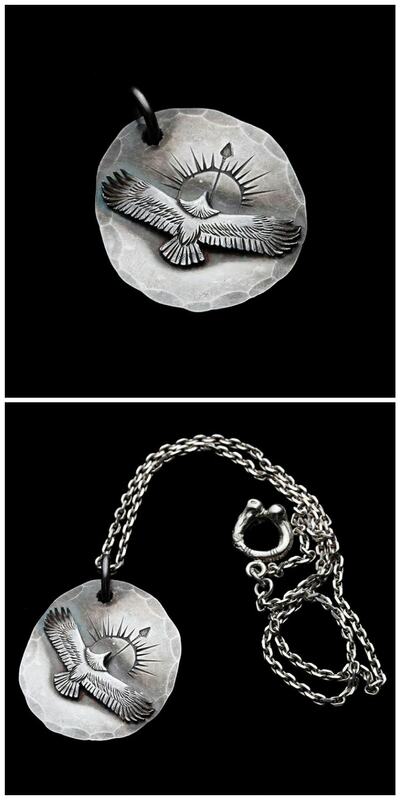 The eagle is crafted separately and then attached to the silver disc. 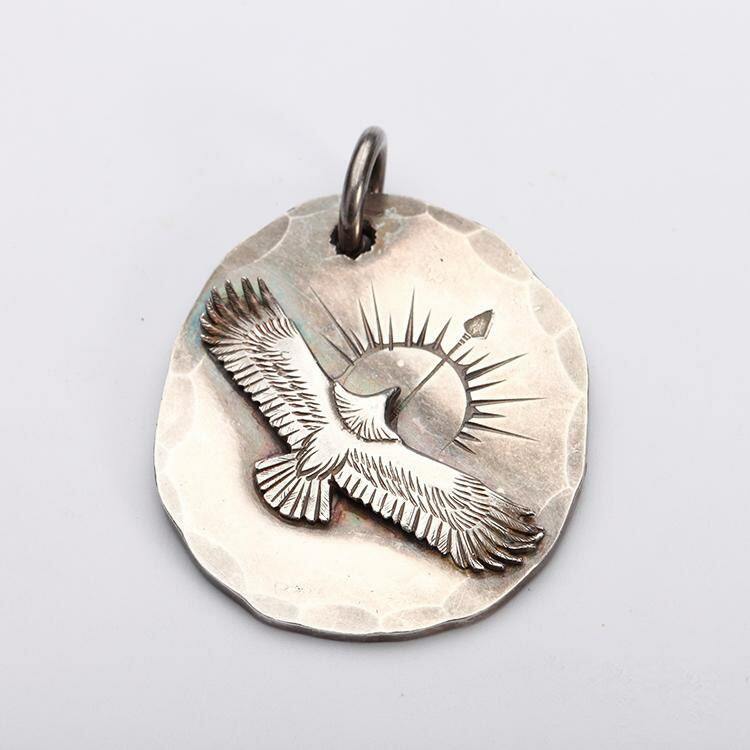 An etching of a rising sun and an arrow forms a background to the eagle - and adds a little story line to the pendant: an eagle soaring high, towards the sun. 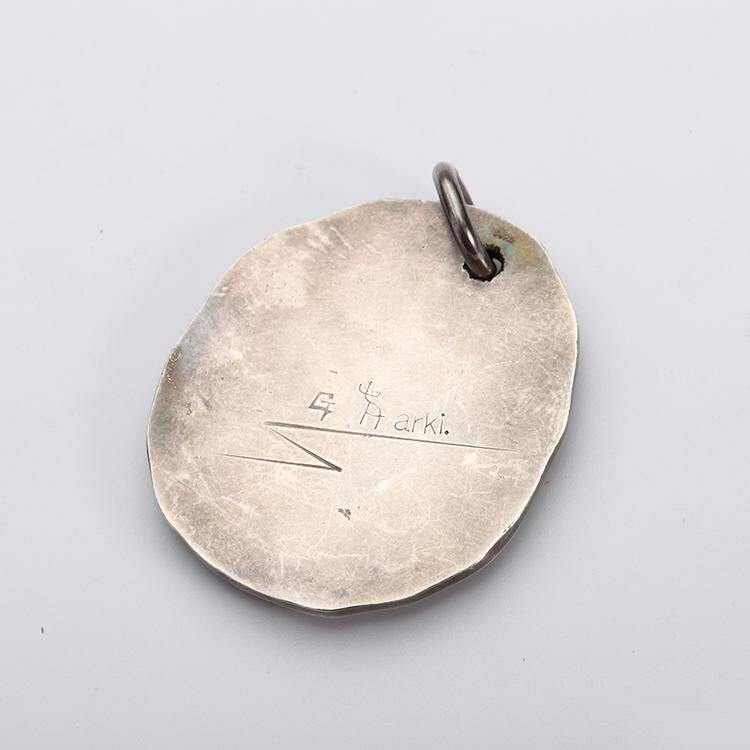 We can help you personalize the pendant by engraving on its back - refer details below. 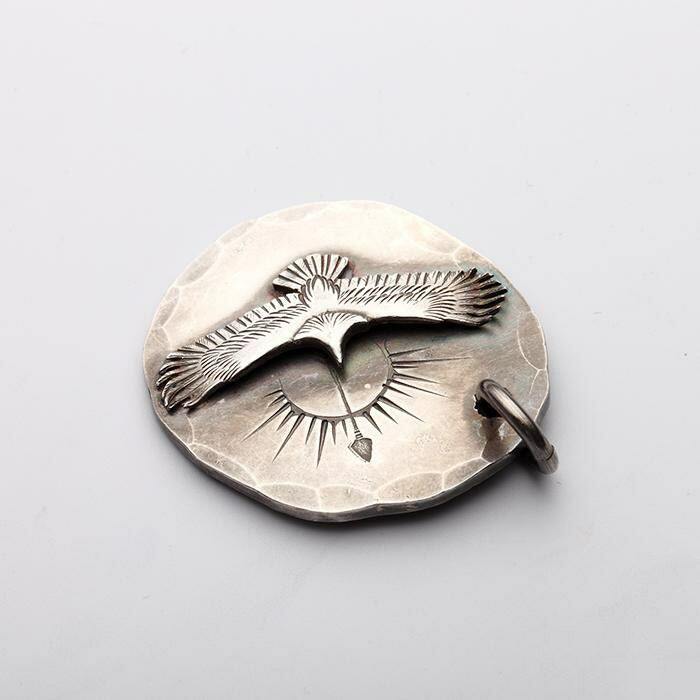 The standard eagle pendant has a silver eagle. We can also craft an Eagle in 18K gold for custom orders - check out the fifth product image to understand how it will look. Pricing on request.